Do i need a Stationary Container Certification? What is Secondary Containment (bunding)? The purpose of the HSNO Act 1996 is to protect our beautiful NZ environment. One way to achieve this is to ensure hazardous substances are well contained. Containment of the liquid substances if they escape from the tank/container in which they are stored. The secondary containment must also provide recovery of the spilled substance. 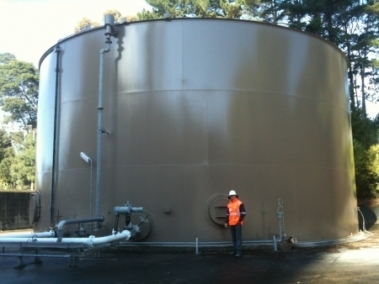 This varies due to the size of tank, the hazardous substance being stored and whether the containment is above or below ground level.